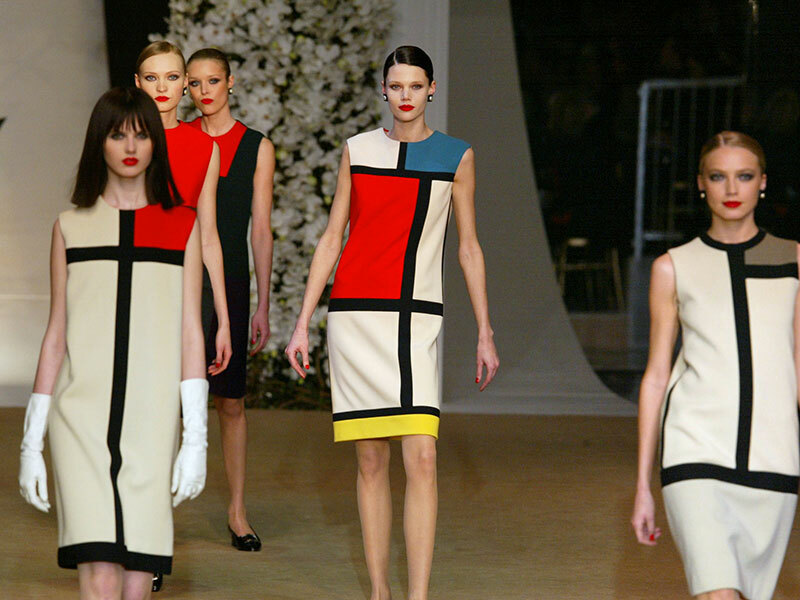 Piet Mondrian’s geometric abstractions in the static frame of a painting were brought to life in 1965 when French designer Yves Saint Laurent, not yet 30, set the piece of art in motion by turning it into a disruptive fashion collection. This became one of the most remarkable works in his career and an iconic moment in fashion’s history. A few of these legendary pieces are included in a carefully selected collection of Saint Laurent’s history, made up of 5,000 garments and 15,000 accessories. The collection is displayed across two museums that opened in Paris and Marrakesh in October 2017. Both institutions – one placed in the city where he worked, another in a space which served as a source of inspiration – exist exclusively to pay tribute to the designer almost a decade after his death. The line between fashion and art has always been slim, but it has never been as blurred as it is today. This is not only due to the similar creative processes involved in the creation of unique fashion designs, but because haute couture brands and garments have increasingly been granted space in museums. Not all designers and brands enjoy Saint Laurent’s privilege of having two institutions of their own, but art museums are hosting more exhibitions dedicated to fashion. Whether supported by historians or sponsored by brands wishing to build or maintain a high reputation, the trend is spreading from New York to Paris, London and other cultural hubs. In the US, the Metropolitan Museum of Art’s long-standing Costume Institute has been a benchmark for the appreciation of fashion as art. Over the decades, it has hosted exhibitions and its famous gala in the heart of Manhattan. Most recently, the spring 2017 exhibition examined the work of Japanese designer Rei Kawakubo. The link between the two spheres has come to include fashion shows too. 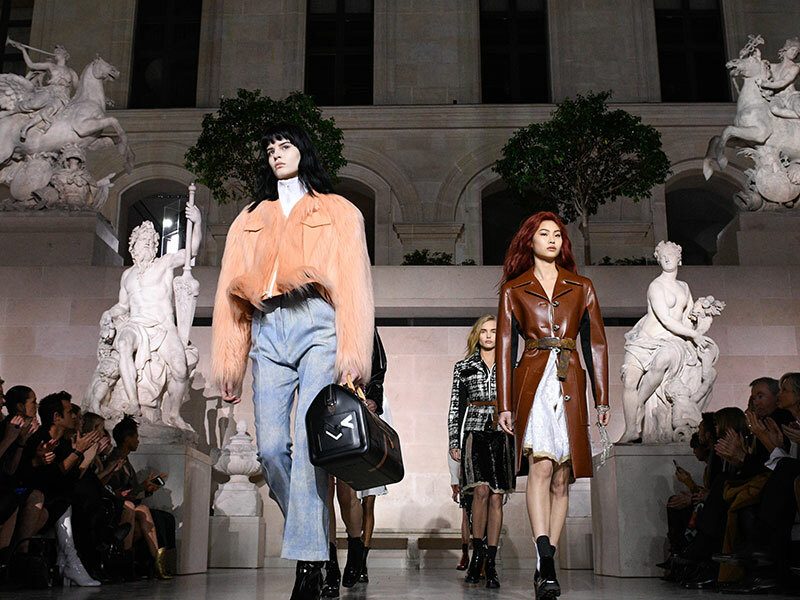 In March 2017, during Paris Fashion Week, the statue-lined halls of the Louvre were used as a catwalk by Louis Vuitton’s models. It was the first time the museum had opened its doors to a fashion show. The result was a successful combination of exquisite pieces from both industries. The French museum, however, wasn’t the first to place catwalks among its masterpieces. The Victoria and Albert Museum (V&A) in London has a long history of hosting fashion shows, which complement the museum’s comprehensive collection of more than 100,000 historical fashion items. Cullen alluded to the museum’s Fashion in Motion programme, which has been running for 18 years. 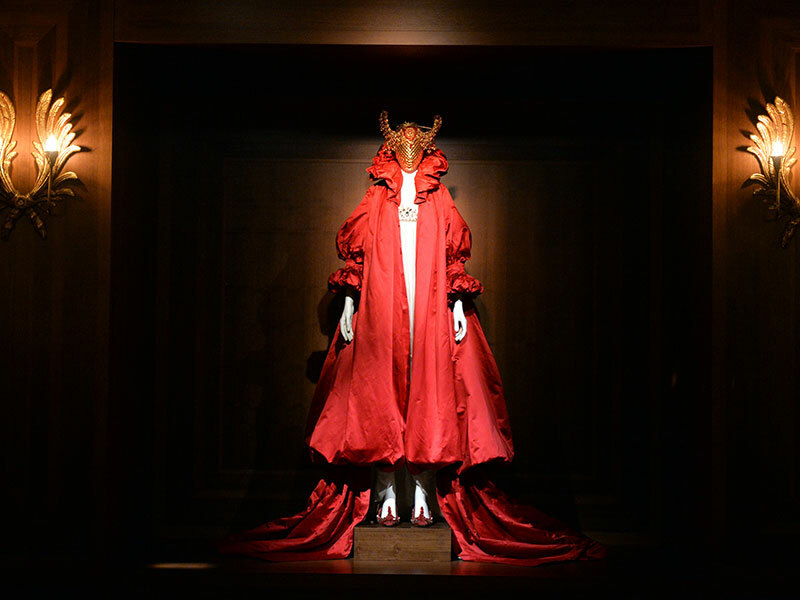 One of its eminent participants was British designer Alexander McQueen, who chose the museum’s backdrop to showcase his collections twice. The V&A’s link to fashion extends further than fashion shows, and has been reinforced by its exhibitions. Balenciaga: Shaping Fashion, an exhibition about Cristóbal Balenciaga, ‘the master’ of haute couture, will be running until February 2018. Displaying designers’ creations beyond shop fronts provides the public with an insight into fashion rarely afforded by department stores. This new perspective is advantageous for both the public and the brands involved in these exhibitions. Caroline Stevenson, a lecturer in Cultural and Historical Studies at the London College of Fashion and a member of the Centre for Fashion Curation, believes exhibitions at museums are a chance for fashion brands and designers to reconnect with their essence. “To focus on the creative process is to redress the balance of the diametrical pull between art and commerce that is their perennial challenge, particularly when faced by the demand to produce numerous collections a year,” she said. By presenting this narrative, people are able to engage differently with the design process. “To focus on the design and making processes of fashion is [to allow] people looking out a window into a private world, where previously they would have only seen the finished product on the shop floor – an object of consumption rather than an object of curiosity,” Stevenson added. Horsley noted that a distinction must be made between exhibitions curated by historians and brand-driven ones. “The most recent phenomenon are brands such as Burberry, Hermès, Chanel or Louis Vuitton doing their own exhibitions in museums,” he said. These brand-driven exhibitions are “aimed at building up a cultural attachment between the public and the brand”, Horsley said. These collections focus on a main theme that the brand wants to be part of its message, “like inherited ideas for Burberry, or craft and handwork for Chanel”, he added. On the one hand, some experts think fashion exhibitions can help make high fashion accessible to a broader audience – for example, the V&A’s live events are open to the public. On the other hand, specialists think the association between museums and fashion is risky as it can affect critical views. Exhibitions’ objective approaches, Groves added, have to show the whole story, including details brands don’t want to share with the public, “otherwise, it’s just a department store for a garment you can’t buy anymore”. Groves thinks the approach of museums should contextualise objects and characters by providing further information about the political and social environment that influenced them. The differences between fashion and museums of art and history are getting less distinct. Art galleries have gone from being a source of inspiration for designers, to a part of haute couture’s daily life. Museums and art galleries have adopted pieces of design as treasures of their own. With the public’s support, this relationship can only strengthen.